The purpose of education is to contribute to the development of the mind and self of the learner or researcher by means of formal and informal education or through autodidact or assimilated knowledge. The education-imparting institute should emphasize intellectual activities, moral judgments, aesthetic judgments, self-realization, individual freedom, individual responsibility, and self-control in order to achieve this development. Education should work toward ending exploitation, oppression, social injustices and inequities. �Real� education, entails �self-education� as opposed to banking models of education in which students are viewed as passive recipients of knowledge. Rather than consuming dominant forms of knowledge that work toward reproducing and maintaining symmetrical relations of power and privilege, students should produce new forms of being and knowing that are more productive, more empowering, and more liberating. The person who looks for real knowledge of education should not consider the name and accreditation of an institute or a university he or she wants to get in but his or her own edification of enlightenment should be prioritized which is the most important entity and that will eventually metamorphose the education he/she wants to pursue into liberating, empowering and productive education. The needs of today's university students can't be met by our old educational paradigms. Isn't it a paradox that assimilated education with the lowest cost can also give the highest satisfaction to employers in today's job market? Paradoxically, the problem of unskilled education is acute in most universities. The enormity of this situation of enigmatic problem is overwhelming. It's mainly because of limiting the capabilities of students by educating them in a campus setting for years to disseminate their minds with many diverse distractions without giving them the knowledge of practicality for his future professional career. Cosmos' Modern Heuristic Education System will give researchers high quality heuristic education which is based on discovering and experiencing things for them to find answers to questions or improve a performance that makes researchers achieved the goal of their choice while they're on their job, trying to develop themselves by taking the course of Cosmos International University. 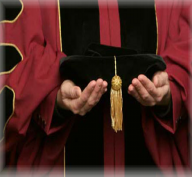 Our philosophy is that students get wisdom which generates wealth, power and justice so that they can stand on their own legs even when studying a course of Cosmos International University without wasting time and money to look and wait for getting scholarship or sponsorship from the government or someone else. It doesn't mean that we totally refuse free financial support to students or researchers but want to expose that Cosmos' students or researchers have got preternatural presupposition to earn money for study and living, whereas researchers or students from other universities normally take loans, spend their parents' money for higher education. Though studying at a university campus, that has huge and fabulous buildings is impressive, Cosmos International University doesn't seem to build such physical opulent buildings. Because Cosmos International University is only for individuals who meet the requirements, and Modern Heuristic Eduation System doesn't prioritize opulent buildings and comfortable living in the first place. If it is necessary, autonomous researchers may look for the necessary living facility on their own. Theoretical research that answers common issues of the job functions that the researcher is doing as a professional job is called "Modern Heuristic Education" and this philosophy of thinking will surely give autonomous researchers the highest achievement towards their high-end educational goal. This is more important than boasting about the accreditation and the facilities of the university they studied. Let's take it into consideration about the outcome of having such facilities that gives the impression to many. Does it really give the cognoscenti that they need to obtain? We concede that most important part of achieving our life-time goal is following modern heuristic education system though good facility gives autonomous researchers the comfort of their living. To meet this requirement, Cosmos International University seeks collaboration with various universities worldwide for the purpose of meeting researchers' desired living standard that they will be able to achieve the goal of their autonomous research under modern heuristic education system. 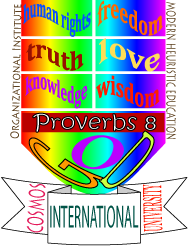 Autonomous researcher's research location may be at a university, school, institute, company, hotel or factory while doing the job of his professional career with an employment contract, the certifying body and organizational institute of his qualifications, capability and skills can only be Cosmos International University under modern heuristic education system. Degree diplomas will also be issued in the name of Cosmos International University. Formal examination is not the only criteria of assessing autonomous researcher at Cosmos International University. More importantly, the grading system of Cosmos International University will rather be followed strategically.